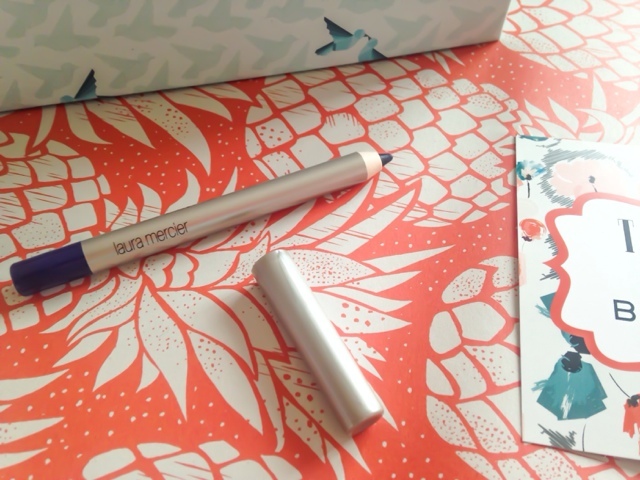 I knew in advance there was going to be a collaboration with Laura Mercier, which was most exciting as I have never owned one of their products before. Sometime last month, much like they did with the Benefit mascaras, Birchbox gave us a choice of products. 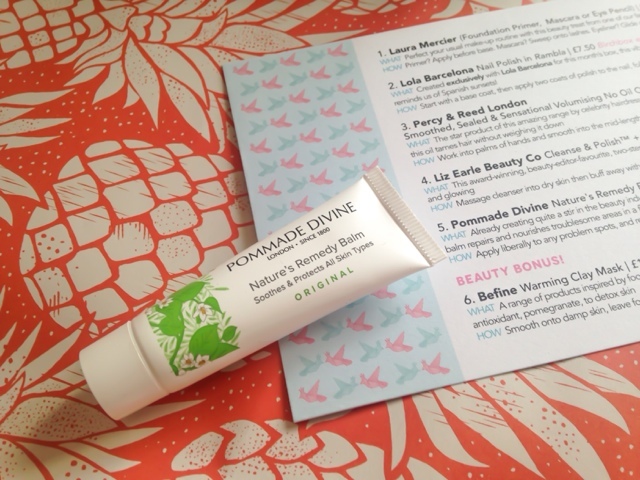 Naturally I selected the primer as it has had a lot of hype in the blogosphere. Did I get my choice? If you were actually paying attention to the above paragraph, you will know that I didn't get my product of choice, which was disappointing. I'm not a huge user of pencil eyeliners, especially black, but gimme a colour and I'm there! I love purple on my eyes especially, so I feel like I will get some use out of this. This eye pencil feels very creamy without being too soft, and quite long-lasting too, so I feel like it's going to be a winner. Happy Kirstie so far! 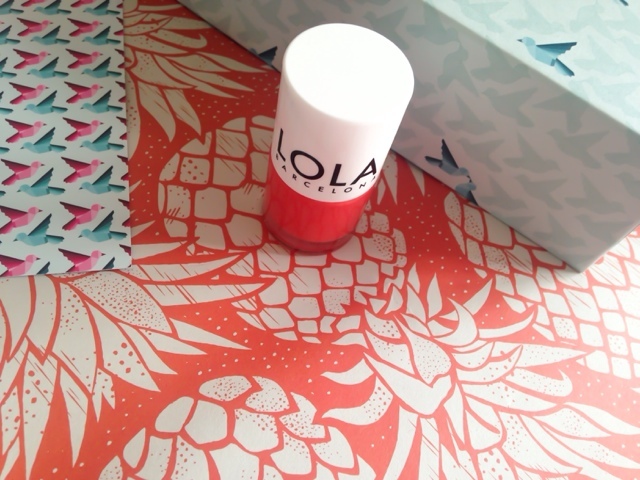 This bright coral shade is apparently a Birchbox exclusive, and looks perfect for the summer. On first impressions it looks very similar to one of the Maybelline ones I've got, which isn't surprising because I have a lot of nail varnishes! I'm happy to get this though because I've never tried anything from this brand. Another new brand for me, I have always lusted after Percy & Reed products. There's always a need for hair oils and this looks like it will last forever! 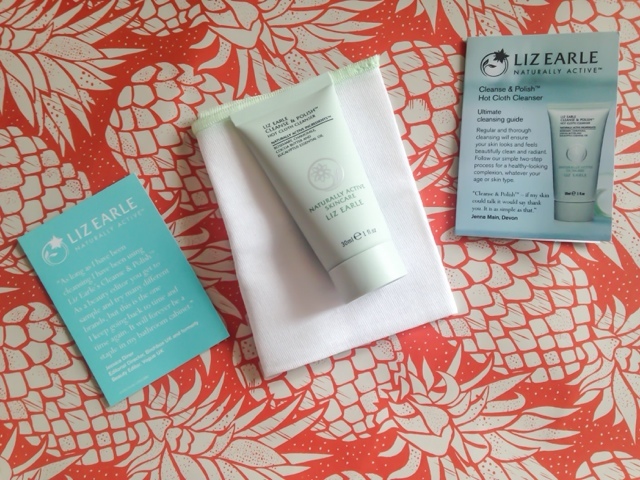 I'm a massive lover of Liz Earle products, and Cleanse & Polish is one cleanser I will always go back to. I am nearing the end of my current bottle so this was perfect timing! Great to include another muslin cloth too. A multipurpose balm very similar to the Papaya Gold Paw Paw balm that I am currently testing out. It is made for use on dry skin and lips, although I can already vouch for the fact that its herbal scent means it's not the tastiest thing to use on the lips! This is probably the product in this month's box that I'm least excited about. 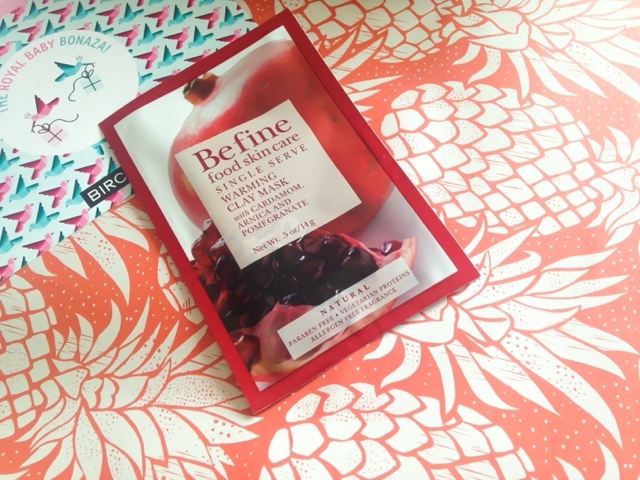 Another brand I've never heard of, but I love a good face mask! This one is inspired by food (sounds good to me!) and contains pomegranate to detox your skin. I really enjoyed the fact that there were six beauty items this month, instead of including a lifestyle extra, which is often a bit pointless and a waste of a sample. 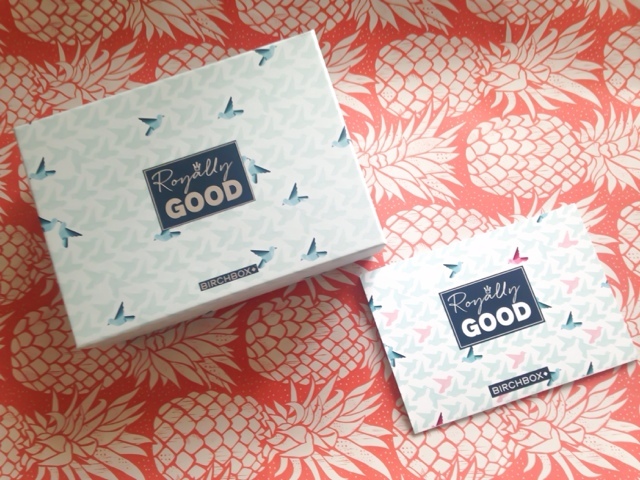 This box is of a much better standard than previous Birchboxes, and I really hope they keep it up! 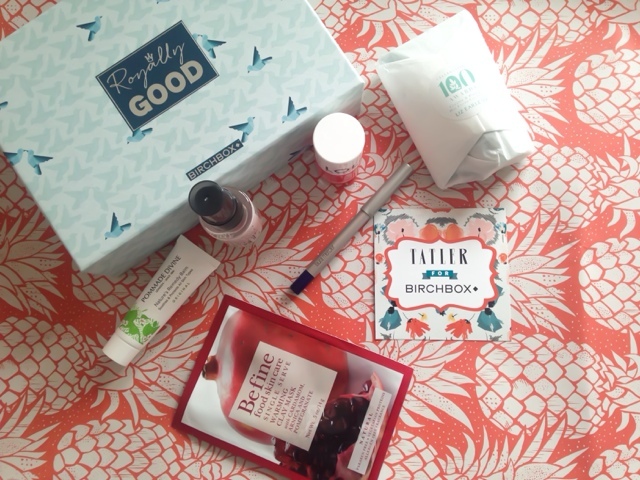 I'm planning a six month review after my June Birchbox, where I'll be seeing whether I've actually used the samples, and deciding whether it is worth carrying on. I was really disappointed with last month's box and was considering cancelling my subscription too. I do however LOVE this box! I couldn't get my hands on the primer either which was pants but overall I'm really happy with this month's box! I'm so glad this box was good. It's always so exciting knowing the box is on it's way! What a great box! I really want to try the Liz Earle Hot Cloth Cleanser it has been on my list for some time now! You should totally try it, I love it!! No probs you have a lovely blog! Every time I go shopping I um and ahh about the Liz Earle product but I think next time I will take the plunge!